Add instant analogue grit, dirt, hum and hiss to your tracks for that surefire raw-to-the-core vibe! This unique collection of audio textures can be used to add air, depth and character to any electronic track. From channel hums and tape hisses to white noise, broken circuitry and scrambled transmissions, these versatile textures can be used in myriad ways to add another dimension to your tracks. Side chain against a kick loop for a distinctive breathing effect, bury some dirt in your drum mix for some added crunchy character, filter and process for builds and breakdowns. These sounds are all about celebrating an anti aesthetic, the imperfections that make something great. 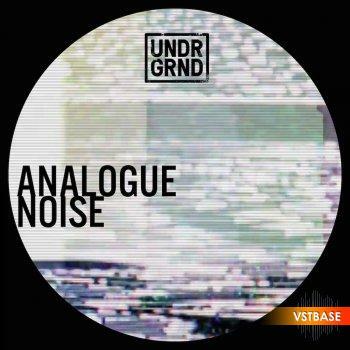 So bash up your DAW and your tracks with some authentic analogue noise, grit and filth! Please note: the audio demo contains drums, synths and vocals which are NOT included in the pack. This pack contains FX layers and textures only.